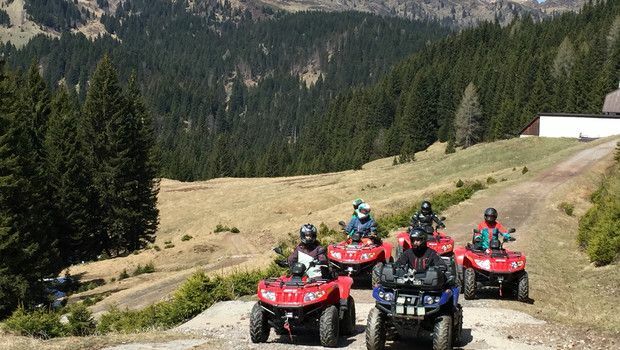 Quad tours offer several amazing tours that take you across different passes in the countryside as well as alpine pastures and high mountains, offering some of the best viewpoints of the stunning surrounding landscape. The experience is pure, wild, original and offers a great adrenalin rush while driving an ATV (all terrain vehicle). For the wildest at heart, some off-road driving is also on offer – yet either way you experience it the tour offers unlimited amounts of fun and, if you wish, you can also plan your own very special quad tour. Safety is paramount and is our priority, but also keep in mind: with a bit of instruction anyone can drive an ATV, and you can also join the tour as a passenger.